Was finally able to catch this movie with the companion yesterday!! I have been waiting for this film since last year after they released the “Banana” minion teaser. We initially went to Robinson’s Ermita but it was jam-packed with kids and kids at heart so we decided to move to SM Manila where there are more cinemas showing the film. Since it was a weekend, we watched it with loads of kids. And the cinemas are all packed with families. It was fun watching a cartoon film with kids actually. They are so cute. They laugh so hard the minute they saw the minions. And I must admit that it was hilarious. I love those little minions!! They are the cutest. They are so funny in a cute way. The kids are all enjoying the film. Everyone’s glued on the screen. No crying baby there. All happy little faces. And so my verdict? If you have a kid, a niece or a nephew. Or if you have a little inaanak, catch it with them and I’m sure you’d enjoy big time and they’d love you big time as well. As for the kids at the heart, I am sure you’d find the film funny and would definitely take out all the stress from the busy week. But of course do not expect wonderful storyline or the likes. It was made for the kids anyway. 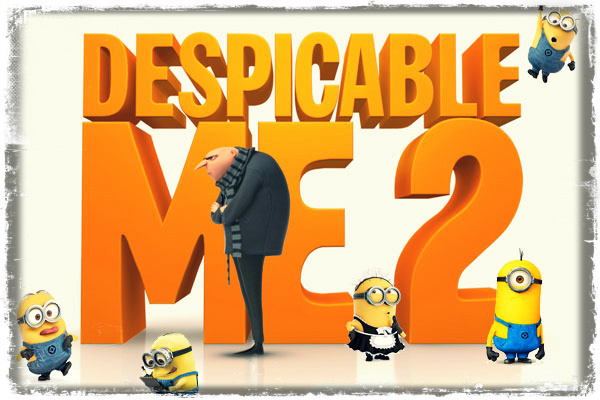 And this film really focuses on the minions and the way they made everyone’s life a little funnier and happier.